Vicky Sweetlove is a well established Feng Shui consultant London at Feng Shui Life, providing a range of Healthy Home and Feng Shui services to Homes and Businesses all over London, UK, Europe and the world. She has great success changing the energies in homes and businesses to increase the potential for happier working environments. To create wealth opportunities, have good health and happy relationships with friends, partners and business colleagues. Making working environments positive and prosperous and homes serene, calm and welcoming. She also ensures that the environment you live and work in gives support and does not disrupt life with potential legal battles, loss of income, divorce and ill health and makes all outcomes positive. Vicky is an approved training provider with IPHM International Practitioners of Holistic Medicine. You do not need to wait for tomorrow or next month. Improve your life with a Feng Shui Consultation or a Healthy Home Survey – results can be instant with Vicky’s recommendations. Health is a big issue these days with electrical and wifii pollution in our homes and offices, affecting our everyday lives. 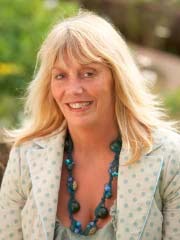 Vicky offers advise and solutions to a healthier home and working environment with a Healthy Home/Business survey which includes space clearing to cleanse the energy of spaces to bring a fresh start to move house, when starting a business, to clear energy of previous occupants and bring your personal energy into that space and make it yours.